At glance: Science-Based Benefits of Sunflower Lecithin Proven Uses, Health Benefits, and Who MUST Avoid It. Does anyone else love the fact that practitioners all over the world are turning back to ancient remedies to address modern day health issues? Sunflower Lecithin is a historical superfood that is quickly becoming one of the new biggest rages in the naturopathic world, and for good reason. It is packed with beneficial properties, it’s affordable, and it has no known side effects when taken in recommended dosages. Hmm……….we all knows what sunflowers are, but what in the world is lecithin, you ask? Lecithin is simply defined as fat. It is essential to every cell in the human body, and was originally discovered in 1850 by a French Scientist named Maurice Gobley (1). He named it lekithos after the Greek word for egg yolk, which was where lecithin was primarily sourced from at the time. Nowadays you will hear the term lecithin defined as a wide variety of yellowish brown fatty substances, found in both plants and animals. In short, sunflower lecithin is sunflower fat. When shopping for a lecithin supplement, you will notice that it is most commonly derived from sunflowers and soybeans. You may be wondering what the difference is and which one is a better choice for you. Let’s start with sunflower lecithin. One of its benefits is that it is easy to extract mechanically, rather than chemically. In fact, it is the only kind of lecithin that is chemical free, which sets it apart from all others. Being produced by cold extraction makes it a much more environmentally friendly supplement. This is important because even some organic lecithin products are chemically derived. Note: Buyer, beware………….not everything that is labeled as organic is good for you! This brings us to the topic of soy lecithin. Soy lecithin has been on the market for several years. I typically try to steer away from most soy products because of the overuse of pesticides, such as Roundup, as well as its GMO properties. It also contains high levels of estrogen, which can cause hormonal imbalances. Some chemicals used in the derision of soy lecithin are hexane, acetone, ethanol, petroleum ether, and benzene. These chemicals can be very harmful to your health and should be avoided at all costs. Soy is also harder for the body to digest, which means that it takes longer for the body to it break down and use it. In summary, certified organic sunflower lecithin is the best choice to look for when sourcing your lecithin supplement. Sunflower fat….aka sunflower lecithin, may not sound like all that big of a deal, but it contains some very valuable health benefits. For starters, let’s talk about brain health. Did you know that about one-third of your brain is made up of lecithin? I don’t know about you, but that sounds like a pretty big deal to me! Lecithin is made up of phospholipids that contribute to neural regeneration as well as protecting the nervous system (2). It also contains choline, which is the chemical your brain uses to communicate. For this reason, lecithin shows promise in reducing the effects of some degenerative brain conditions (3) such as Parkinson’s and Alzheimer’s. The benefits of sunflower lecithin are not limited to brain health. It has also been proven to boost the well-being of the heart, and even reverse the damage that is caused by heart disease. Lecithin is an emulsifier, which basically means it gets rid of excess fat in the bloodstream. This is huge for heart health (4) because it lowers your risk of atherosclerosis, heart attacks, and strokes. Sunflower Lecithin also plays an important role in the proper functioning of the liver. Without sufficient amounts of lecithin (5), the liver tends to become overburdened with excess fats. When this happens, the body is faced with complications, such as diabetes, as well as liver diseases, like cirrhosis and liver cancer. Since lecithin contains those emulsifying qualities that I stated above, it is wonderful at greatly reducing those risks from happening. Those excess fats we keep talking about in the bloodstream? They include cholesterol and triglycerides, so you can see how the lecithin would help to lower cholesterol levels. Boy, those emulsifying abilities sure do come in handy! This is why sunflower lecithin is most recognized for (6) its cholesterol lowering capabilities. Sunflower lecithin contains one of THE most powerful antioxidants (7), called phosphatidylcholine. Antioxidants are vital to keeping our cells healthy and strong, and also to preventing damage to our cells from oxidative stress. When our cells become unhealthy, this can lead to a whole host of health issues in our bodies. You might want to consider taking lecithin if you have any kind of digestive order or disease, such as Ulcerative Colitis or Irritable Bowel Syndrome. This is where those emulsifying capabilities come in again (8). Sunflower lecithin protects the fragile lining of the digestive tract by improving the mucus in the intestine and making digestion easier. The Canadian Breastfeeding Foundation recommends taking 1,200 mg of lecithin (9), four times daily, to thin out your breastmilk. This is a great preventative for mothers who experience recurrent clogged ducts! Keep in mind that it is used only as a preventative, not as a treatment for already clogged ducts. Here we are back to the issue of excess fat in the blood. When these excess fats build up on the artery walls, it causes the arteries to thicken and tighten up, which in turn causes high blood pressure (10). When we have sufficient amounts of lecithin in our systems, it can prevent this from happening. Low levels of lecithin in the body have been known to cause stiff joints, and even rheumatism. Sunflower lecithin can help to aid and prevent arthritis. It has amazing anti-inflammatory properties, and also aids in lubricating the joints. This comes in handy when dealing with the joint pain and inflammation that comes with arthritis, because it greatly reduces those symptoms. Did you know that you can actually apply sunflower lecithin to any minor injury to help boost the healing time? This amazing superfood is full of linoleic acid, as well as many other important fatty acids, that speed up the release of cytokines (inflammatory transmitters) to wounded areas of the body. This, in turn, speeds up the healing process. Sunflower lecithin is available in both capsule and powder form. Capsules can be easily swallowed with a glass of water. They are perfect to have on hand if you are in a rush, or if you can easily pack them along with you on trips. Powdered lecithin can be used in a variety of different ways. It can be blended in with your favorite shakes or smoothies to create a rich, creamy texture. My favorite way to use sunflower lecithin is in powder form, for that very reason. 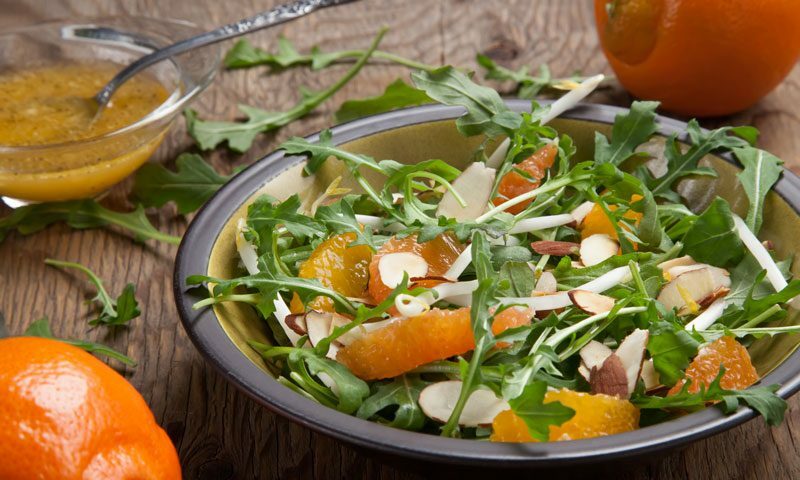 You can also use the powder to make some amazing homemade salad dressings. Measure out 1 cup of oil and set aside. Add remaining ingredients to blender and mix. Next, slowly drizzle in your oil until the ingredients have emulsified. 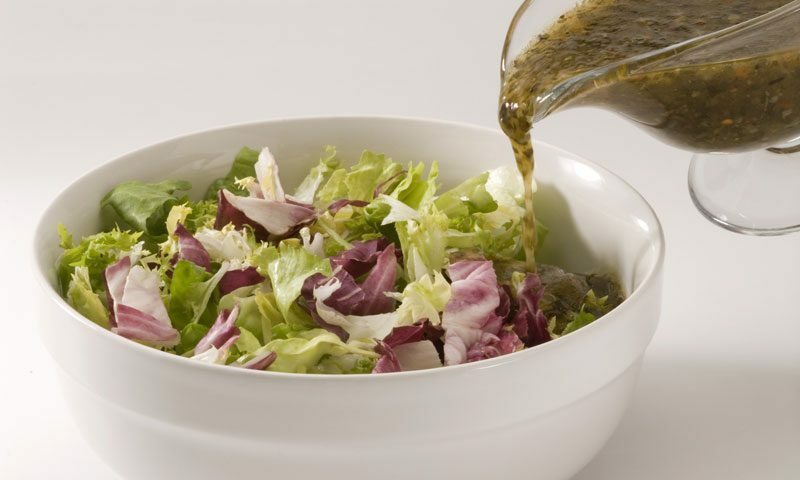 And there you have it, a healthy, delicious salad dressing! You can also find lecithin as an added nutrient in some protein powders, so be on the lookout for that as well. Sunflower lecithin is available in supplement form at your favorite health food store, or local food co-op. It is also available online from most vitamin shops. Supplementation is a great way to get your lecithin levels back to where they need to be if they are low. It is recommended, as always, that your main source of lecithin be derived from a high quality diet. This can be maintained by eating such foods as egg yolks, soybeans, sunflower seeds, cabbage, cauliflower, chick peas, split peas, nuts and seeds. If you decide that it would be in your best interest to take sunflower lecithin in supplement form, it is important to know the proper recommended dosage for you. It is suggested that men take a minimum of 600 mg of lecithin a day, while women are urged to take a minimum of 500 mg a day to maintain good overall health. In order to achieve the maximum benefits from your sunflower lecithin, it is suggested to take up to 1200 mg for both men and women. Make sure not to exceed this amount because it could cause some mild, yet uncomfortable side effects, such as upset stomach, diarrhea, vomiting, nausea, and sweating. One of the things I love most about sunflower lecithin is the fact that there are no negative side effects as long as it is taken within the recommended dosage. If, however, you should exceed that dosage, the adverse side effects that I listed above can be uncomfortable, but not life threatening. Pregnant and breastfeeding women are advised to use lecithin supplements with caution because of the effects they may have on estrogen levels. People who are allergic to sunflowers are warned to completely avoid these supplements. In conclusion, adding sunflower lecithin to your diet is a great way to boost your health without having to worry about any negative side effects. With such a long list of health benefits, you can’t go wrong. Choosing a certified organic sunflower lecithin is the best choice when sourcing your vitamins. As always, be sure to check with your health care provider before adding in any new health regime to your diet. Wojcicki, J., Pawlik, A., et al. "Clinical evaluation of lecithin as a lipid-lowering agent." Phytotherapy Research, 9:597-79, 1995. Meck, W.H. "Choline and development of brain memory functions across the life span." Seventh International Congress of Phospholipids, Brussels, Belgium, September 1996.